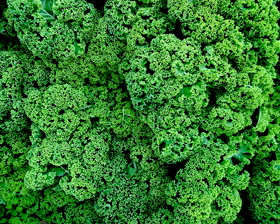 Kale Emerald leaf produces dark, tightly curled leaves. Excellent quality, very cold hardy, this variety is good for difficult or windswept gardens or poor wet soils. Sow seeds March-August for "salad leaves' or March-June for mature plants. Sow seeds thinly in a well prepared seedbed, 12mm deep in drills. Can also be sown in pots or trays indoors for "salad leaves' all the year round.